Welcome to the CanaDream Club. Your 24/7 Booking Platform for everything Canada has to offer. Our team has put together a large collection of attractions, activities, tours, hotels and campgrounds for you to choose from. Nous sommes là pour vous aider à planifier votre épopée canadienne : vous pourrez voyager à votre rythme et visiter tous les lieux qui vous intéressent. Whether you want to find the closest campground, airport hotel, pulse-pounding adventures, the most scenic tours or the best deal to buy fuel, CanaDream Club was specifically developed for you with ease of booking in mind. As our Guest and CanaDream Club Member, you receive special pricing and discounts from our tourism partners across Canada. We have partnered with the finest Campgrounds and RV Parks, all hand selected and tested by our CanaDream Cast members to help find the perfect place for you. Whether you are looking for the closest RV resort to spend the night or that special place next to your chosen activity, we have that perfect place for you. Are you looking for a relaxing guides walk through the rain forest, or for a pulse-pounding rafting trip down a whitewater river? Or, do you feel more like participating in a whale-watching expedition on Canada's West or East Coast? Whatever you like to do, we have it all for you. Looking for ideas for where to travel and what to see on your Canadian RV vacation? We have the tools! We are happy to provide Guests with more than 40 itinerary ideas for your Canadian RV vacations. East, West or in between, you're sure to find something of interest on one of our suggested tour routes. Explore our vibrant cities or enjoy and relive our tradition and culture. Canada boasts a rich and flamboyant history with fantastic museums, and many of our partners have specialized in bringing these memories to life for you. Our First Nations are deeply woven in our culture and offer incredible aboriginal experiences and displays. Fuel your experience with Husky, the official fuel partner of CanaDream. CanaDream and Husky have teamed up to help you save money at the pumps! Club Members receive special pricing at ANY Husky station across Canada with the myHusky Rewards Card which you will receive upon check-in at one of our Guest Experience Stations. The Roar of the Wild! Explore Canada’s untouched regions on foot, horseback or by boat. Let a floatplane take you deep into the wilderness. Set eyes on nameless peaks, participate in a guided wildlife viewing expedition, or enjoy an easy drive on uncrowded highways that take you to some of the most spectacular scenery on the planet. Cutting edge technology, "Book-Now" feature, fun to work with – our mobile App has elevated travel planning to new levels. Available for free in the App Store and on Google Play, our CanaDream App works on all mobile devices and allows you to easily view and book everything the Club has to offer. With an interactive map, attraction filters and instant booking capabilities the App is a MUST HAVE when travelling through Canada. Best of all, you have the chance to WIN $2,500 towards your next travel experience with us when you book with the App! 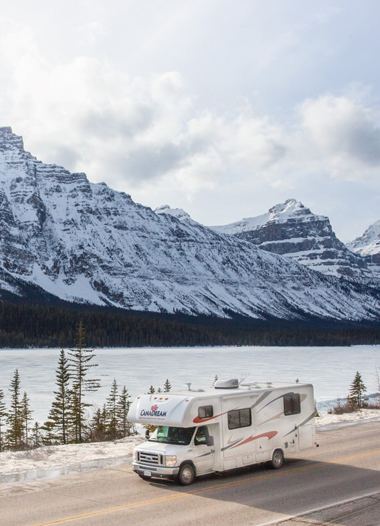 Our Cast members are well travelled throughout Canada and have told us about some of their own favourite RV road trips. These are incorporated into the itinerary section of our website and we hope you will find their suggestions useful. Become a Partner and Get Listed! CanaDream welcomes enquiries from campgrounds and attractions in Canada who may wish to become CanaDream Club partners.